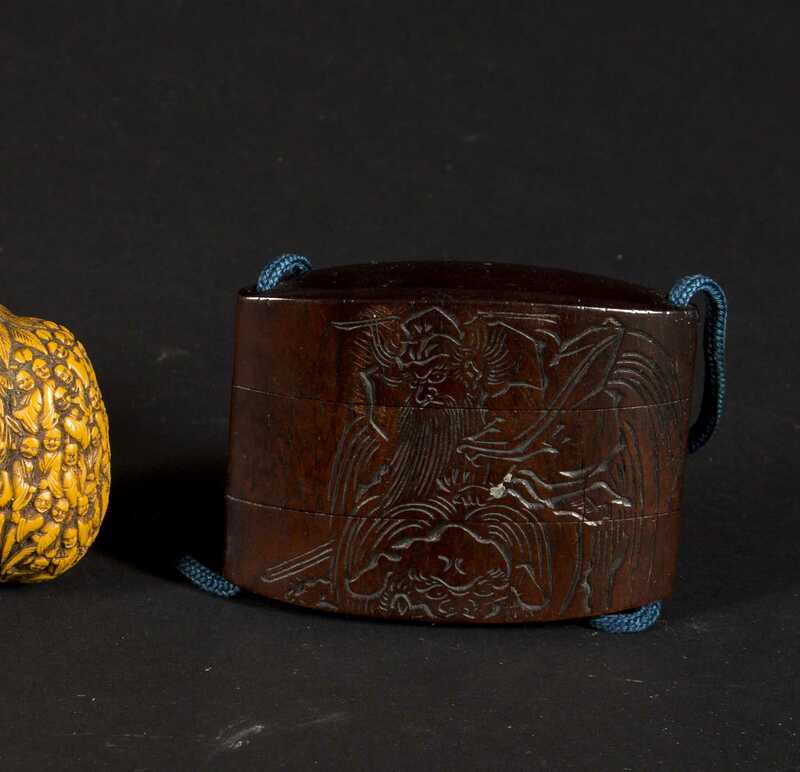 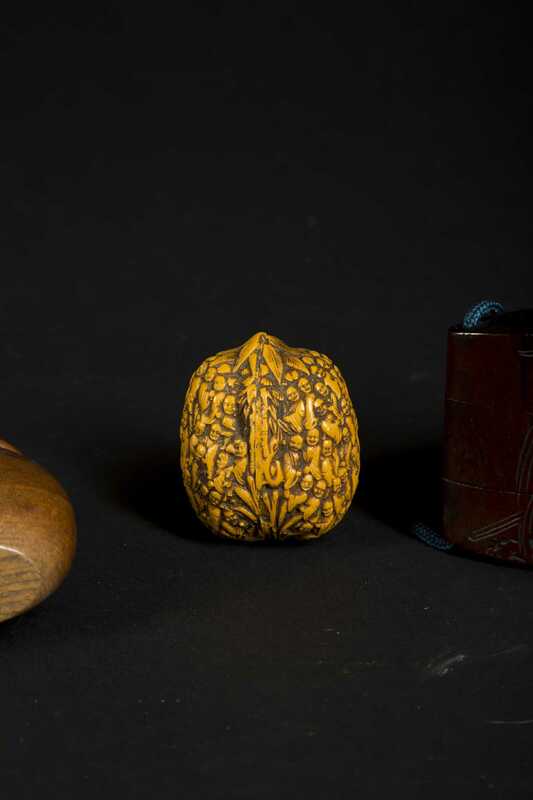 Three Japanese Carved Items, A) Walnut shell with all over carved people and faces, 1 7/8" tall, 19th/20thC. 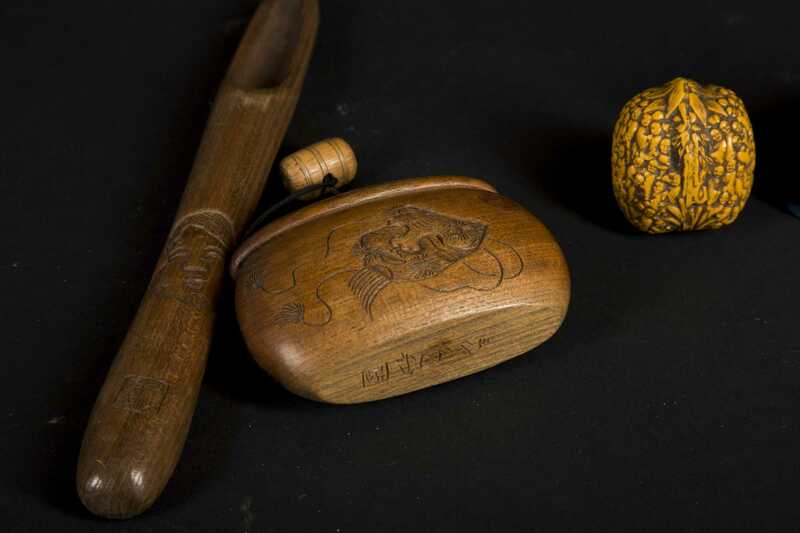 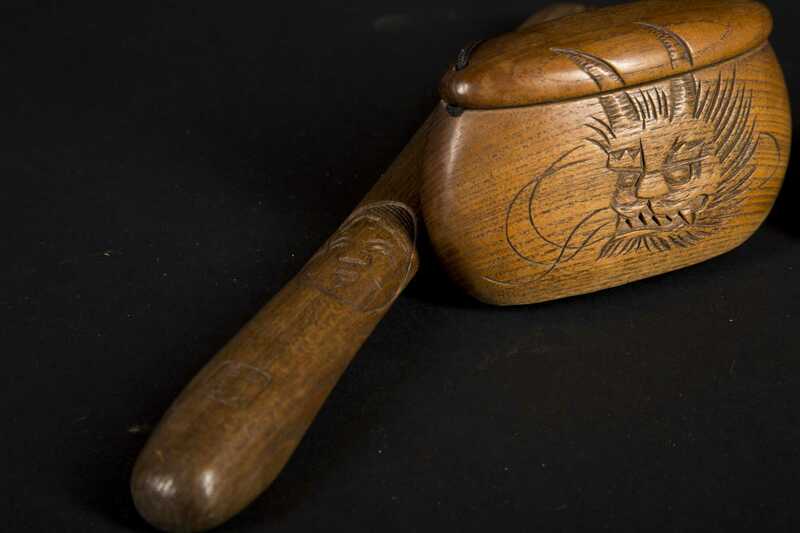 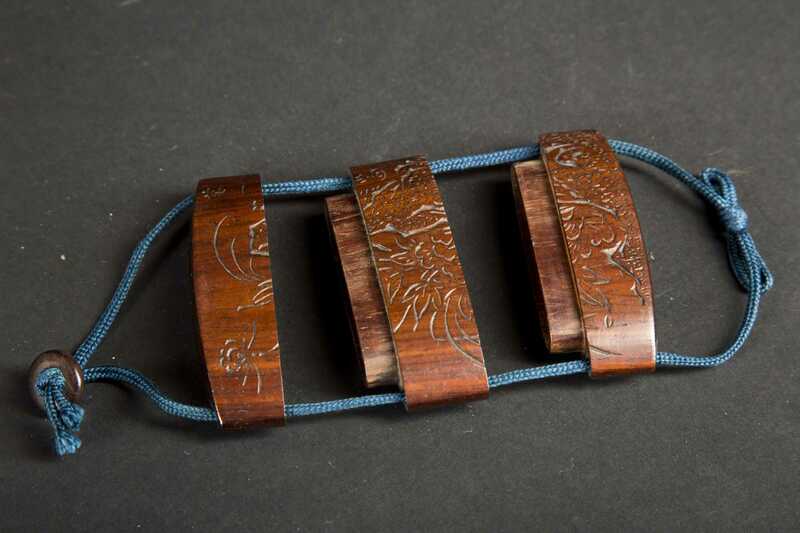 B) A three piece wooden pipe case with covered box, carved faces, character sign on case, 8 1/2" long, 20thC. 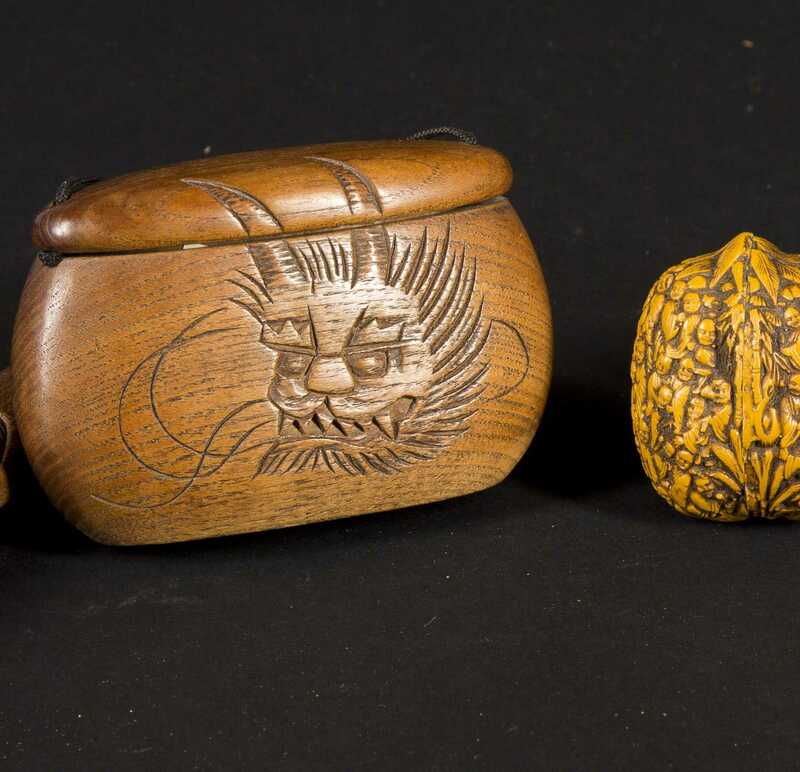 C) Three part wooden inro with carved faces and scenes on the outside, 2 1/4" x 3" wide, signed with character on bottom, 20thC.